I have been a fan of Popchips since I first started blogging over 6 years ago! They are lower fat chips that still have all of the flavor of regular chips. The other night, my husband was eating BBQ chips and I had already eaten a snack that night and didn't want to be too indulgent. I grabbed a bag of the barbeque Popchips which only have 100 calories which satisfied my craving. My favorite flavor of these is the sea salt and vinegar because I love the sour flavor of the vinegar and these come pretty loaded. For a healthy treat, I enjoy snacking on Popchips. **Keep reading for a Popchips and Paleo Passion Foods giveaway! I love to go out to eat but the problem is that it is often unhealthy food. 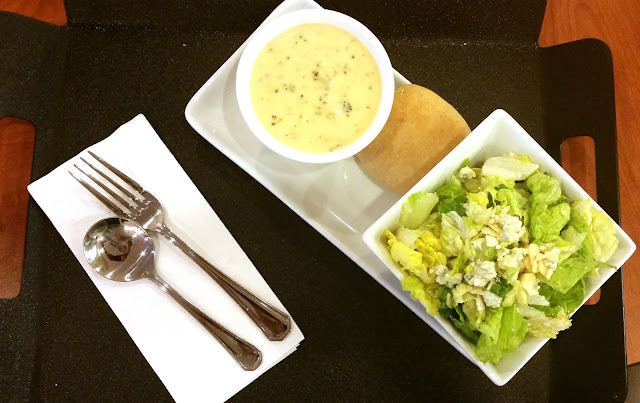 The Big Salad offers many nutritious options. I was provided a gift card for my husband and I to try out their food. I think that the salads and sandwiches are the best. I also like their tomato basil soup. How The Big Salad works is that you can pick all of the toppings that you want on a salad and they chop it up for you. You can pick which kind of lettuce you want: romaine, baby spinach or iceburg. They have lots of protein options including different kinds of meat, hard boiled eggs, nuts, cheese, seeds, etc. I always get the you-pick-two option but next time, I think that I will just stick to getting a larger salad since I like that the best. I like the spicy ranch dressing along with the poppyseed. 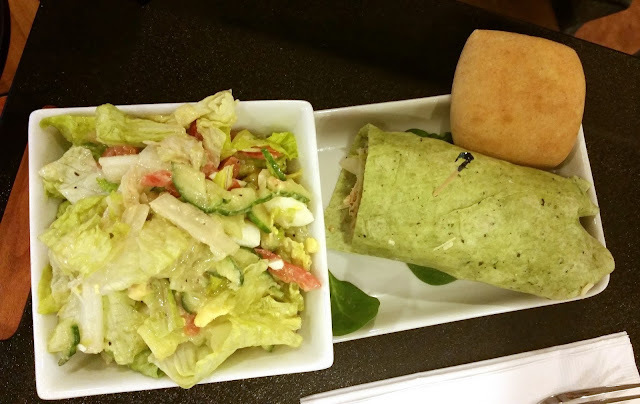 This time, I got the broccoli cheese soup with a chopped salad and my husband got the chicken Caesar wrap with a chopped salad. The Big Salad is not too expensive and is a quick, healthier meal option. I love frozen treats when the weather gets warm and love trying different kinds of healthier treats. 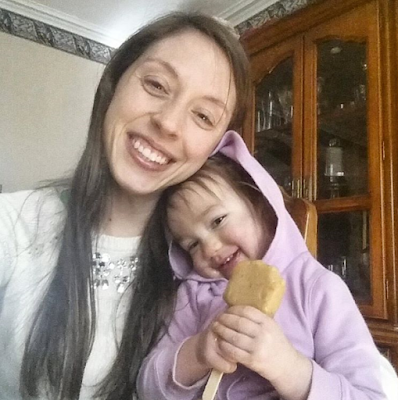 When I opened my package from Paleo Passion Pops, my 18 month old daughter freaked out until I gave her a bar- haha! We shared the pineapple ginger flavor first which I really liked. It is full of real fruit flavors- nothing artificial. They contain pineapple and ginger juice as well as chia seeds. I like the chia seeds being included for an extra boost of fiber, protein and omega 3s. Some of the other flavors that we have been enjoying include apple crisp, strawberry passion, orange mango, blueberry pomegranate and more. They use juice concentrates for sweetness instead of regular sugar. We have been enjoying having one of these pops for a healthier treat. The giveaway will be for a one month supply of Popchips and 4 boxes of Paleo Passion Foods pops to one lucky winner! The mango are so good! I had a hard time finding the different flavors. I had to go to a different website and hopefully found the right one. The Strawberry Cream Coconut Pops sound great! But I did not see the Kim's Kokonut mentioned above. I am definately a coconut lover, either sound great! The Orange Mango with Chia Seeds or the Strawberry Passion came in a close second. I would really enjoy the blueberry pomegranate flavor. I like the Orange Mango!! The Strawberry Passion looks good! I would like to try the Strawberry Passion. The Strawberry Passion looks delicious. I would like to try the Chocolate Passion! My wife and I will be fighting over the last Strawberry Passion.